Looking for a relaxing babymoon getaway in Canada? Consider a babymoon vacation in British Columbia. From the magnificent mountains and remote beaches of the BC Islands to the urban sophistication of Vancouver, British Columbia is a fabulous and diverse destination for babymooning couples. 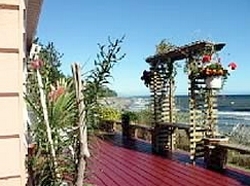 Located on the ocean front, this Vancouver Island bed and breakfast offers magnificent views and miles of shoreline to enjoy. The spectacular scenery includes soaring eagles and basking seals, and what could be more romantic than watching the sun rise over B.C. 's Coast Mountain Range? The Copes Islander B&B offers a tranquil setting for a relaxing babymoon getaway, whilst providing easy access to the rest of Vancouver Island and its many attractions and scenic locations. European charm and elegance are what you will find at this Vancouver boutique hotel. 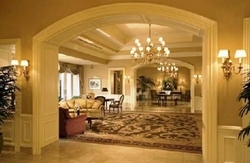 The hotel's central location in the heart of the city make it an excellent destination for a Vancouver babymoon. After a day out exploring the wonderful attractions in Vancouver, return for relaxing afternoon tea served daily in the Fleuri Restaurant. For even more relaxation on your babymoon getaway, be sure to book a Mother-to-be Massage at the hotel's luxurious Vida Spa. Don't forget about Dad, he can choose from a variety of men's spa treatments including a full menu of beer inspired therapies. Quarrystone House Bed and Breakfast is located on Salt Spring Island and offers breathtaking ocean and pastoral views. This peaceful setting provides the perfect location in which to relax with your partner and absorb the tranquility of the region. Salt Spring Island - known as one of the top artistic communities in North America - is home to the Artspring Centre, which offers performances by local and touring artists. Don't miss the Saturday Market in the Park (from spring to fall) where you can visit hundreds of local vendors who grow, make or bake on the island! And what better way to end the day than to enjoy the 180 degree view of the sunset from your private room, which is separate from the main house and features a patio and river rock fireplace?